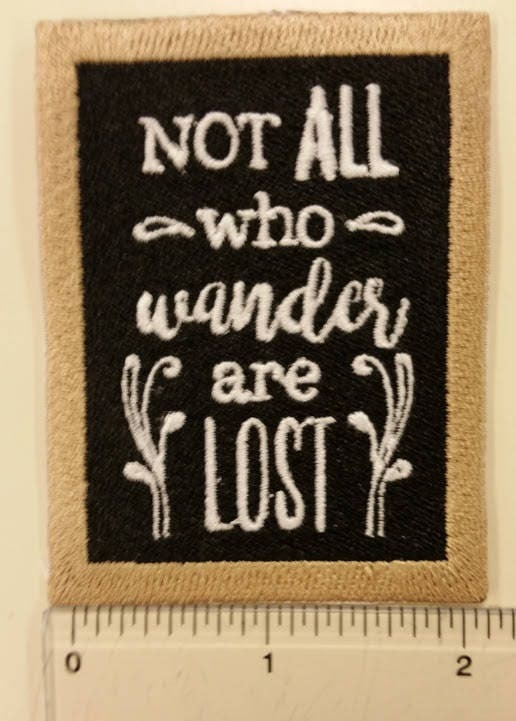 This neat patch replicates a famous quote on a chalkboard style background. It is a completely filled patch with black, white and tan thread. 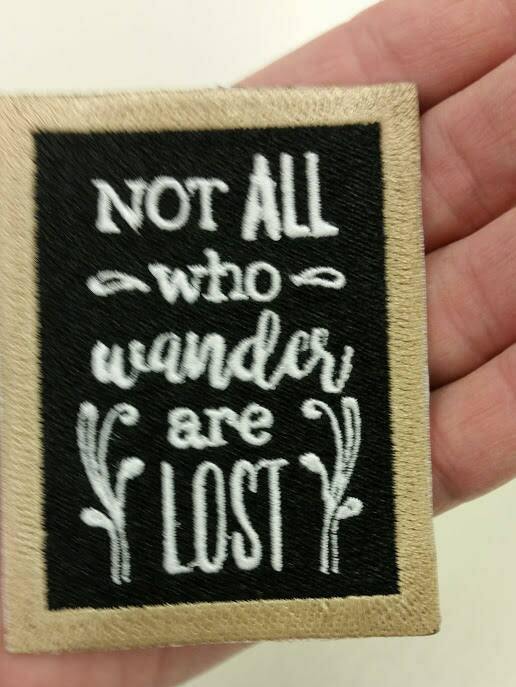 It says "Not all who wander are lost" from the author J.R.R. Tolkien. 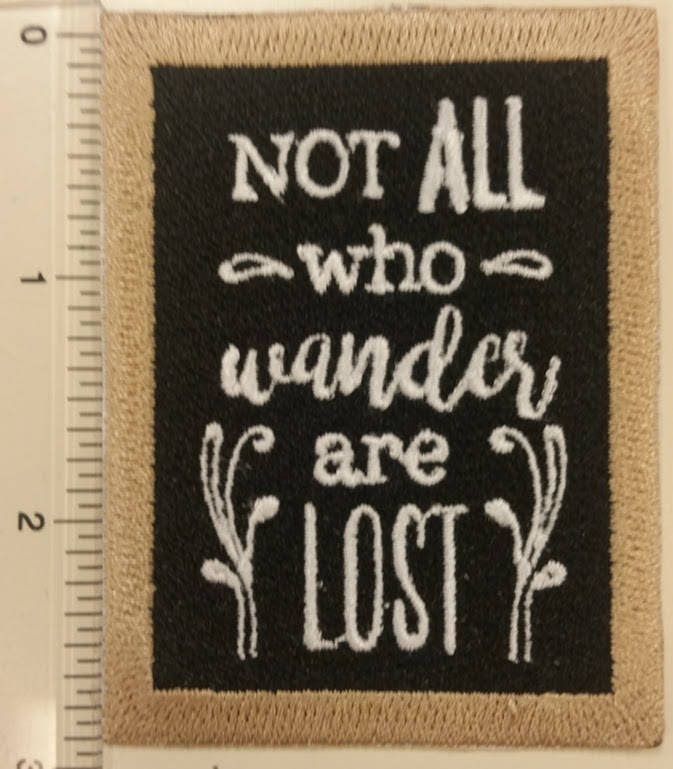 This patch measures approximately 2"W X 3"H. It has an iron on adhesive to make application easier. 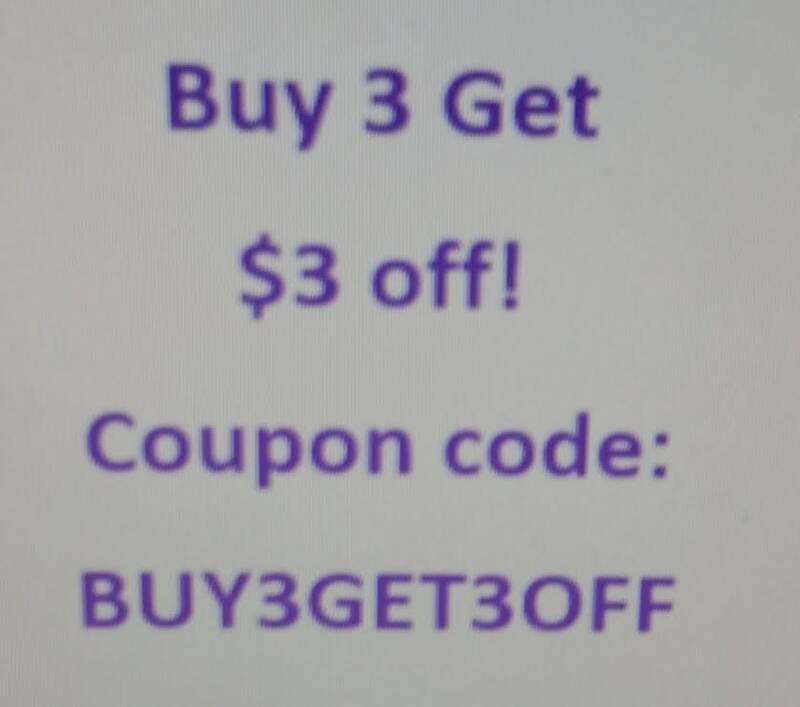 Check out some of my other patches and combine with this to save on shipping. 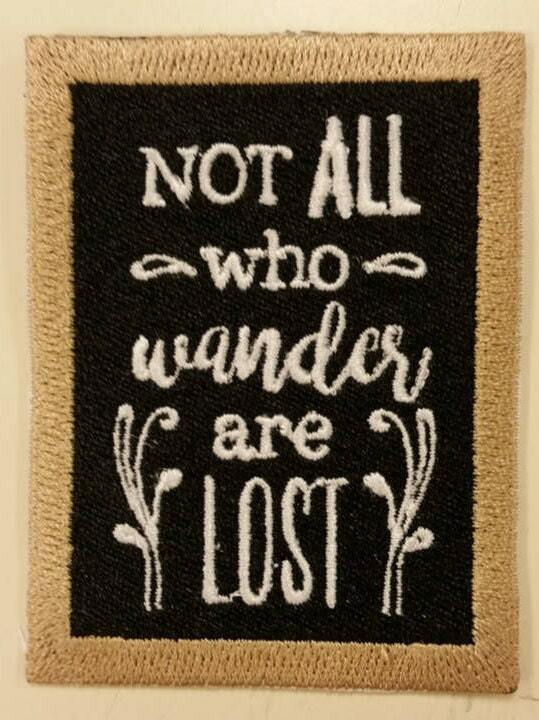 I bought this as a gift for my best friend who recently transitioned into van life with her husband. They loved it! I pray it brings them joy every day of their journey together.